Join us at The Luton Indoor Market for our Guinness World Record Attempt in aid of Keech Hospice! 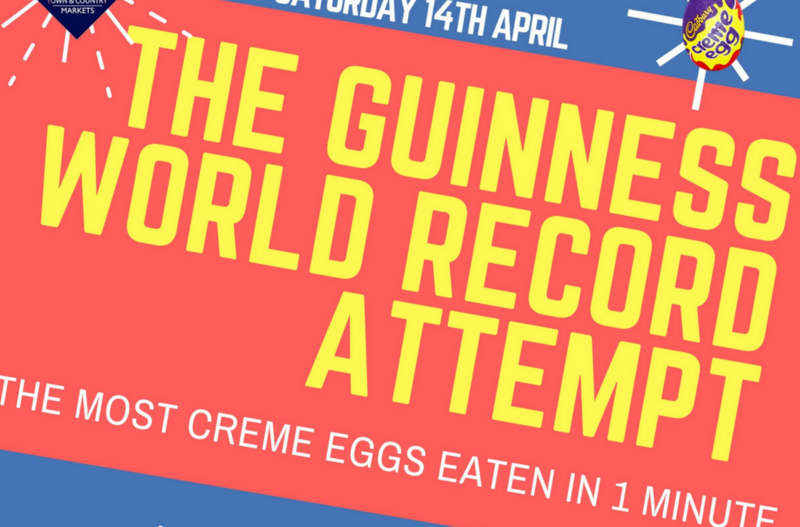 Our Market Manager, Marcus Bell & two of our traders, Habib (Urban Jewellery) & Kealey (Keith Ashleigh Fish Mongers) will be attempting to eat the Most Amount of Creme Eggs in only 1 minute! The current record stands at 6 Creme Eggs, so there is a lot of work (and chocolate egg eating practice) to be done! The event will be opened at 1PM by The Mayor of Luton in the center of the market! We will also have our local Keech Hospice representative with us too! We are asking all family, friends, traders, customers and beyond to dig deep and sponsor our 3 competitors! We will also be selling Home-made Creme Egg Cakes on the day! Please share this event with your friends and we hope to see as many of you there on the day to show your support! The attempt will be on Saturday 14th April at 1pm in the center of The Luton Indoor Market.